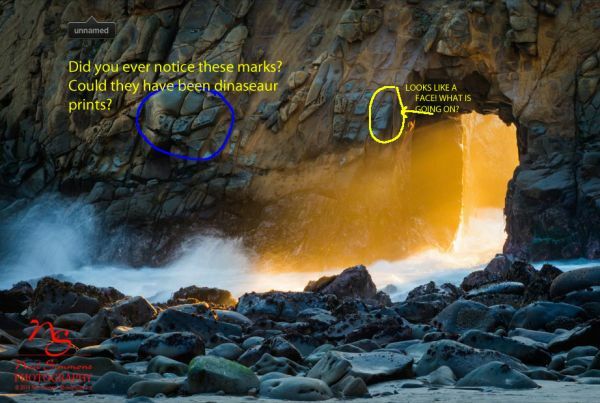 Uploader comment: THIS ANCIENT ROCK HAS STRANGE MARKINGS. WHAT COULD ACCOUNT FOR THESE? THIS ROCK IS ON PFIEFFER BEACH, BIG SUR, CA. CAN ANYONE EXPLAIN THEM?